I've been thinking of this post for quite a while ever since the very lovely Katherine from Mummy Pinkwellies told me she first saw my blog in NICU at Littlebit's cotside. Perhaps you have found my blog the same way. Congratulations on the birth of your baby (or babies). It feels strange doesn't it? Perhaps you don't feel at the moment there is much to be congratulated for, but in time you will be grateful that it was said. How are you feeling today? Elated? Terrified? Sick? Happy? Joyful? Confused? All of the above all at once? Completely normal. I remember when my son was born, at 27 weeks, I felt everything in a rush all at the same time, it was so hard to make sense of it all. I felt so overjoyed I was finally a mother, immense guilt that my baby was so small and then so poorly. It just seemed a huge mess. How are you finding all the information? Everyone deals with it differently. For some parents, knowing all the numbers, all the medications, the exact medical information for their baby is important, for others, just a broad overview of what is happening. There is no right or wrong. Once you have found your level that you are comfortable with, let the staff know. It will help them know how much to tell you and how to present it. How are you finding your time on the unit? There is no right or wrong here either. Some parents spend every moment by their baby's cotside. If your baby is very small and very early and your looking at quite a long stay, you might find you need time away, and that's ok too. How you manage your baby's time on the unit is very individual. Don't feel you need to be there all the time, it is ok to do other things, to have time away. Have you got much support? I found that most of my friends didn't really know how to speak to me. I think they felt frightened too and weren't sure how to help. I found it hard too, explaining NICU to someone who hasn't been there is really hard, it's a completely different world isn't it? There is loads of support out there, but sometimes you need to look for it. There are formal groups through Bliss and maybe your hospital. Do you find you have enough information? It's hard to find that balance between having enough information and having too much. 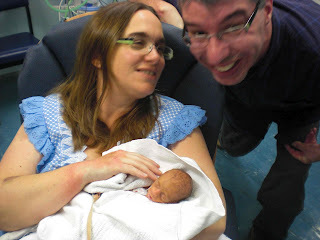 Tommy's the Baby Charity have a brilliant booklet called Having a Premature Baby, I highly recommend it. Bliss have literature too. When I was going through NICU with my son, I wanted someone to tell me it could all turn out ok for us, not that it would, as no one could tell me that. My son is now almost 3. He is happy, and healthy, and meeting his milestones. He loves dinosaurs and football, the colour pink, watching the Gruffalo on television and playing with cars. He's turned out just fine. My only advice for you is this: Believe in your baby, don't get caught in the guilt trap, and take each day as it comes. What would you say to a new NICU parent? I wish I'd had this when we went onto the unit, I was ill and in a lot of pain and really closed myself down to keep myself sane. I'd had a tour of the unit, but the support worker was on holiday and no-one seemed to have time to help me. I wasn't encouraged to have a voice, no one even told me his care plan so I just sat there watching my wrinkled little old man. I didn't find out and Bliss or Tommy's until after he'd left the unit, but on the whole it was the most isolating and voiceless time of my life. I was lucky, Isaac didn't have any complications and just grew and developed...But I don't know if I would have had the information and confidence I needed to be his advocate had it been needed. Thank you, that's a huge compliment. I wanted to write something I wish I'd had too. I was lucky because I'd had some experience as an advocate and in the clinical world, so I had knowledge, but I had little support and really floundered, it was the loneliest time of my life and I hated his NICU stay, then when it was over fell into a crumpled heap. It's such a weird experience, its hard to comprehend unless you have lived it.